A strategy is important for your business to not drift away from your customers and be competitive withing your environment. 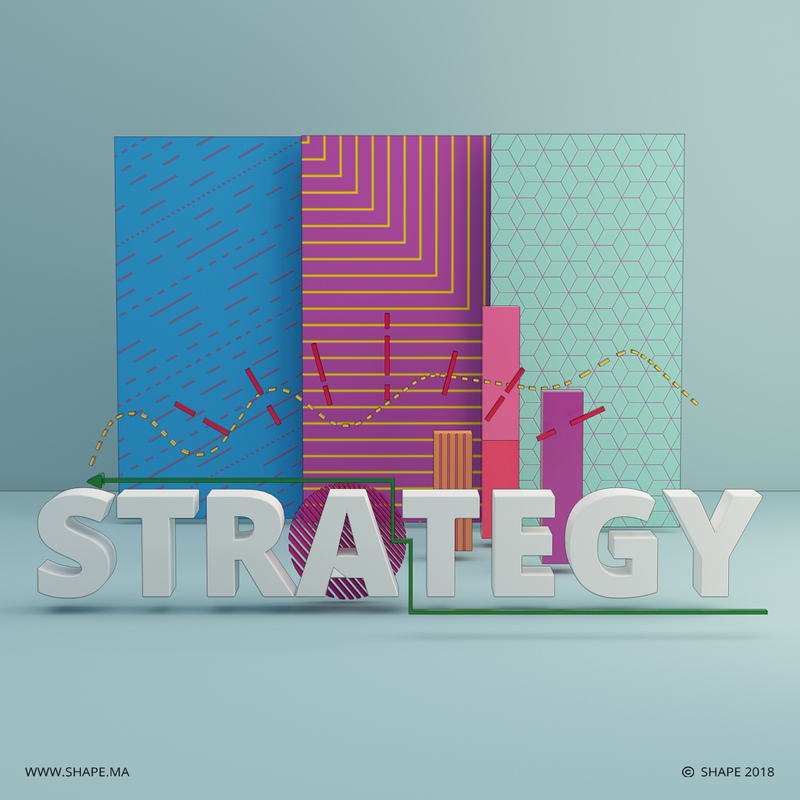 It helps your business to get from where your are now to where you want to be..
At SHAPE, we start each project by acquiring knowledge about your business, your methods as well as your short and long-term objectives; we assess what would work the best for you. We aim to pair both your business and innovative objectives, thereby elevating design beyond its aesthetic function. We start our branding operation with identifying the users by adopting the user profiling technique. When you create user profiles, you can understand the needs of your users and meet their expectations. We also build user interaction scenarios that enable us to anticipate pain points and gain significant insight on user behavior and functionality. Brand attributes allow us to define a brand’s internal and external qualities. They facilitate the creation of meaningful connections with the target audience. This is why we use imagery, language, actions and assumptions to highlight the functionality of brands and most importantly their personality and physical traits. Conducting a market analysis can be profitable for all types of business regardless of their size or maturity. We use a SWOT analysis (Strength, Weakness, Opportunities and Threats) of the brand’s competitors during this stage. It leads to a better understanding of the market, provides an efficient customer targeting and presents a clear view of the ways we help you develop your brand.